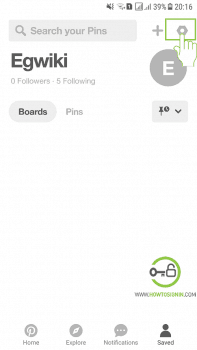 Pinterest log out process is simple, and you can do it with a few clicks/taps. 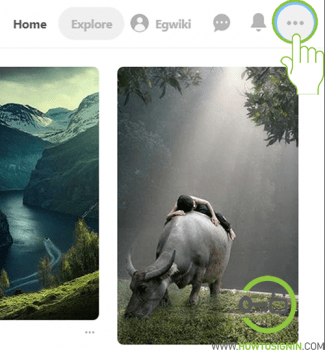 There are different methods to log out from Pinterest App and web-browser. Though it’s a simple procedure, many users get confused. So, this guide will help you to log out your Pinterest account in the different platforms in a quick time. Want to sign in with a different account? Are you wondering how to log out of Pinterest on the computer? This process will help you to sign out from Chrome, FireFox, Safari, Edge or any other browser. Open the Pinterest website and from the homepage click on the three-dot icon at the top right corner of the page to open the drop-down menu. Hit the Log out option from drop-down menu. Now you are successfully logged out of your Pinterest account. 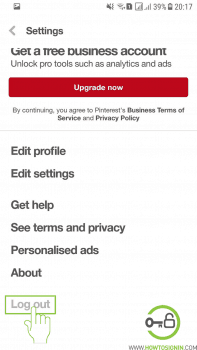 After you sign out your Pinterest on your web browser, you won’t be able to use your pin it extensions also. Sign out process is slightly tricky in iPhone and Android phones in comparison to web-browser. But you can log out in no time with following steps. Open the Pinterest app on your Android or iOS mobile device. 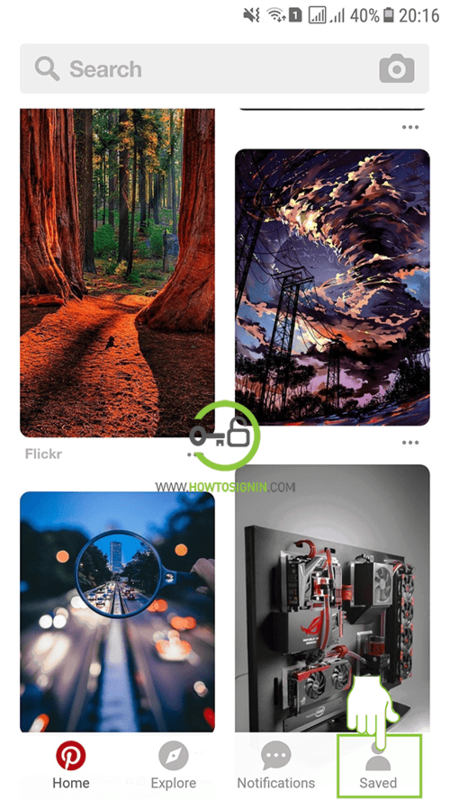 Tap on Saved button at the down left corner of the screen to open your Pinterest profile. After you reach your Pinterest profile page, tap on the Account Settings icon at the top right corner of the app. When you get to Pinterest account setting page scroll little down and tap on Log out button to finish Pinterest account log out process on your Android devices. 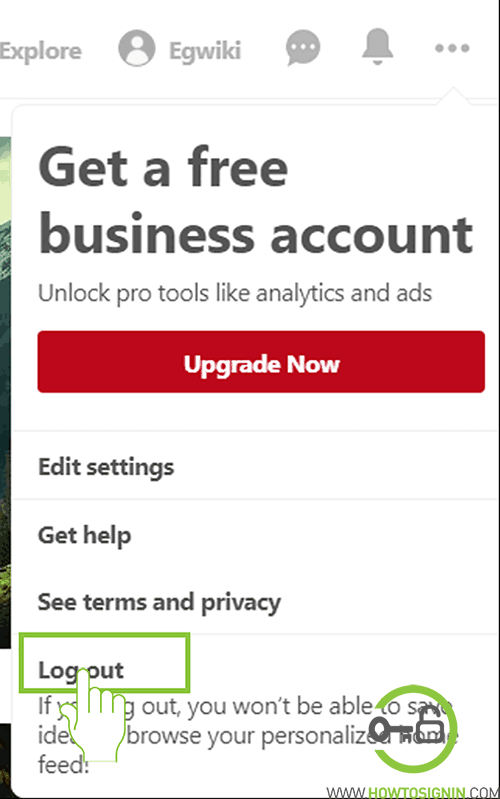 You don’t need to sign out of existing account if you just want to sign in with a different Pinterest account. 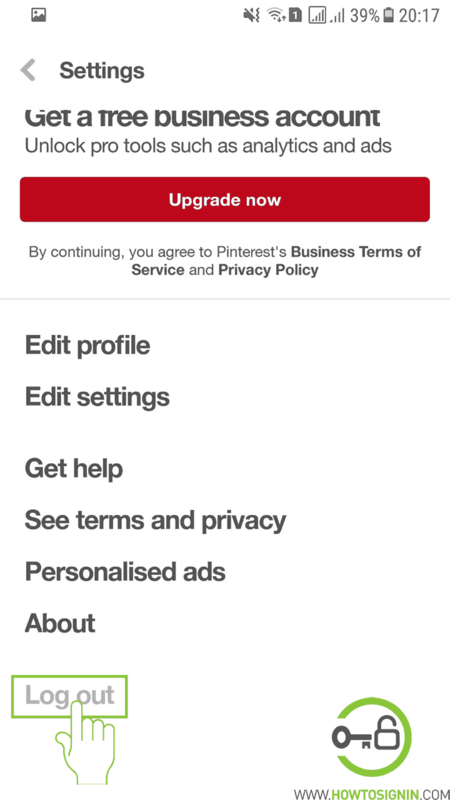 Click on the menu (…) on the Pinterest app. Log in with email and password or Continue with Facebook or Continue with Google. When you log out, you’ve to log in to Pinterest again to access your account. You should sign out your account if you have signed in from a public device. You can’t log out from all device at once. If you wish to do so, you’ve to change the password of the Pinterest account. So all other devices have to log in with the new password to access your account. You can sign up for a new Pinterest account if you don’t want to use the old one. Thank you so much for this tutorial. I really appreciate your help on Pinterest signing out. I hope you keep helping us in similar way.